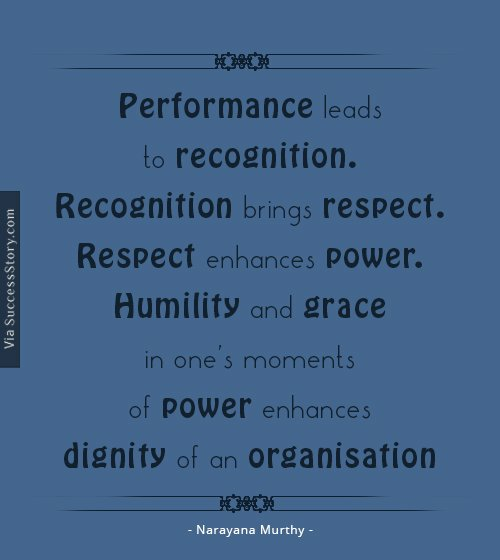 “Performance leads to recognition. Recognition brings respect. Respect enhances power. Humility and grace in one’s moments of power enhances dignity of an organization”-as rightly said by Nagavara Ramarao Narayana Murthy (popularly called as NRN), a man who himself believes in practicing what he preaches. 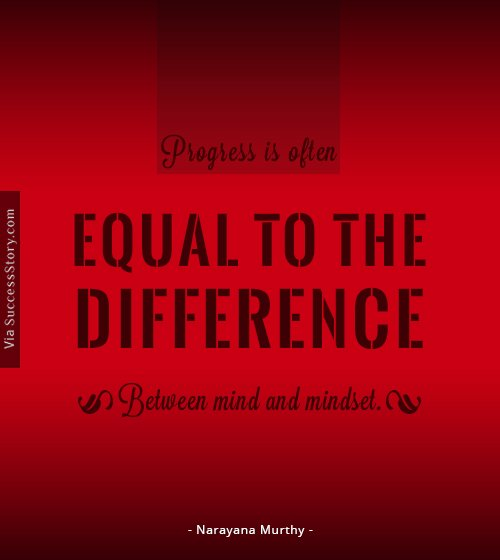 With a humble nature and a long term global vision, Narayana murthy took the organization Infosys and India to an exponential growth in the global outsourcing market. 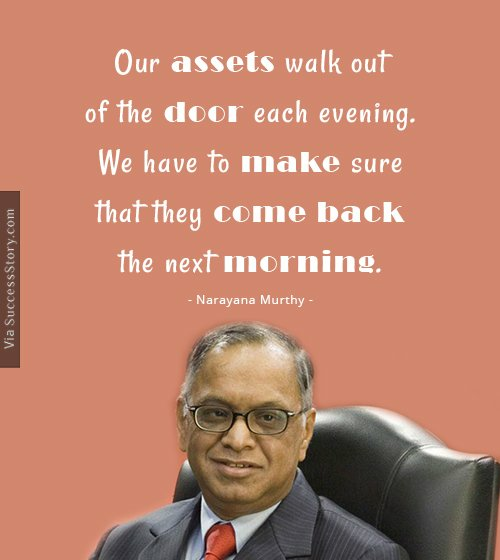 "Our assets walk out of the door each evening. We have to make sure that they come back the next morning." 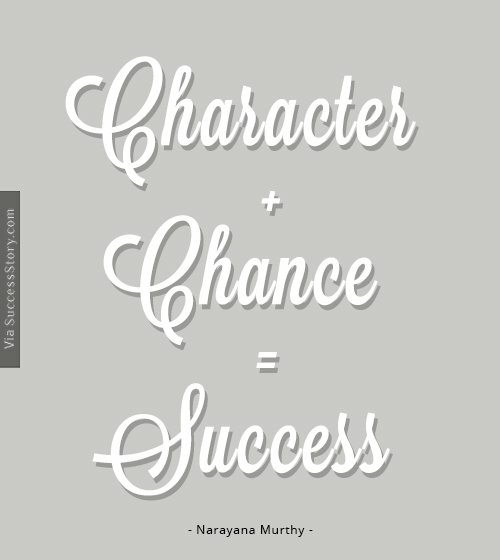 "Character + Chance = Success"
"The real power of money is the power to give it away." 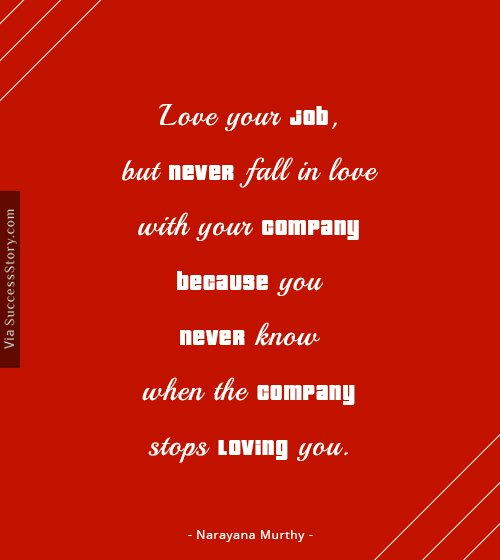 "Love your job, but never fall in love with your company because you never know when the company stops loving you." 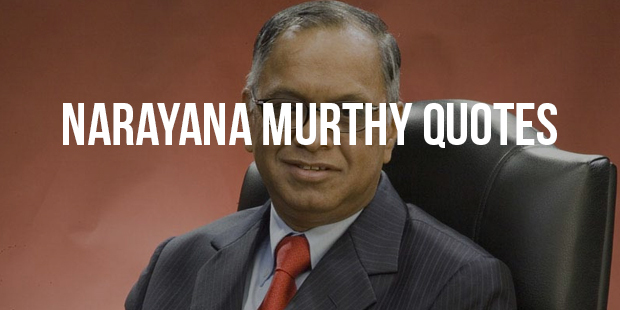 N R Narayanamurthy was born on August 20, 1946 in Sidlaghatta, Karnataka. He holds a bachelors degree in electrical engineering and a master’s degree from IIT, Kanpur. During his early professional days, Murthy designed and implemented a BASIC interpretor for Electronics Corporation of India. He started a company called Softronics which was not successful. He then joined Patni, Pune. 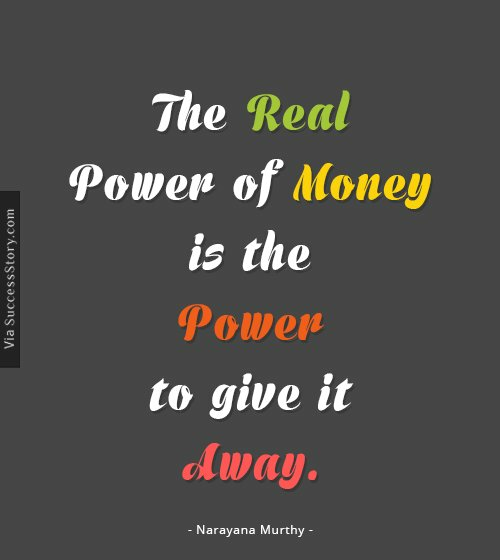 N R Narayanamurthy served as the CEO of Infosys between 1981 to 2002 post which he was succeeded by Nandan Nilekani, another co-founder of Infosys. He was the chairman of the board between 2002-2006. He served as the chief mentor and retired in 2011. In June 2013, Infosys had to bring back its founder to strengthen the company and the company witnessed a sharp positive growth after Murthy’s comeback. NRN lives with his wife Sudha Murthy. His son is Rohan Murthy and daughter Akshata Murthy.